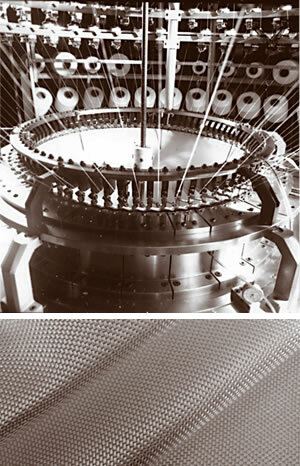 Fiberglass Cloth In the late 1970's Mallen Industries developed a unique stretch fiberglass fabric, MALLEN CLOTH, that has become a mainstay of PRESS CLOTH used in deep bend and complex glass application by leading manufacturers and end users. Stainless Steel Cloth Mallen Industries is also moving ahead with another high-tech innovation, using stainless steel yarn in conjunction with fiberglass to produce a stronger, longer lasting PRESS CLOTH for the glass bending industry. Combining the strength and heat resistance of steel with the stretch and contour properties of fiberglass results in a longer lasting and better performing material.